During its opening weekend this summer, “Crazy Rich Asians” snagged an impressive $25.2 million at North American theaters, making it one of the best-performing romantic comedies in years, and with an all-Asian cast that’s making Hollywood history. We took a look at the audience for this movie and a few insights really popped out. 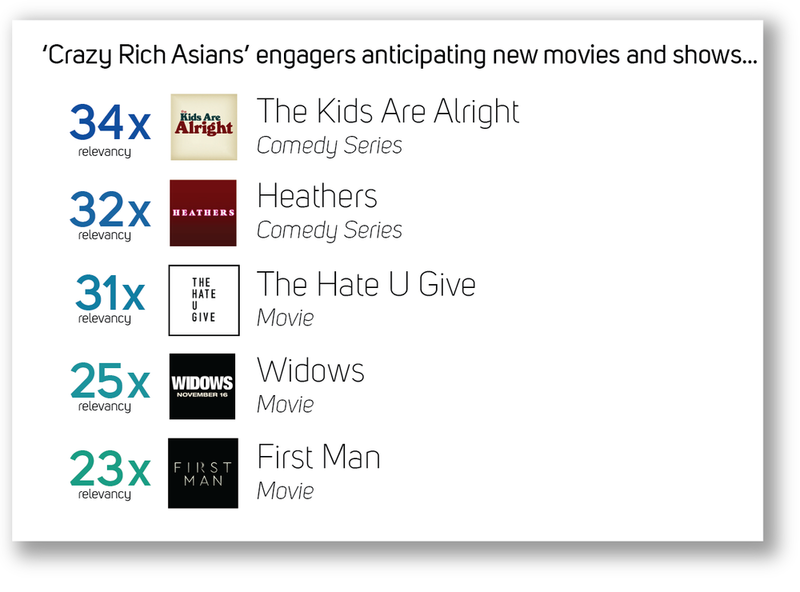 “Crazy Rich Asians” continued to succeed far after opening weekend. At its current total gross, it stacks up against some of the highest earning rom-coms of all time, with a total of nearly $173 million. What Else Are Fans Watching? 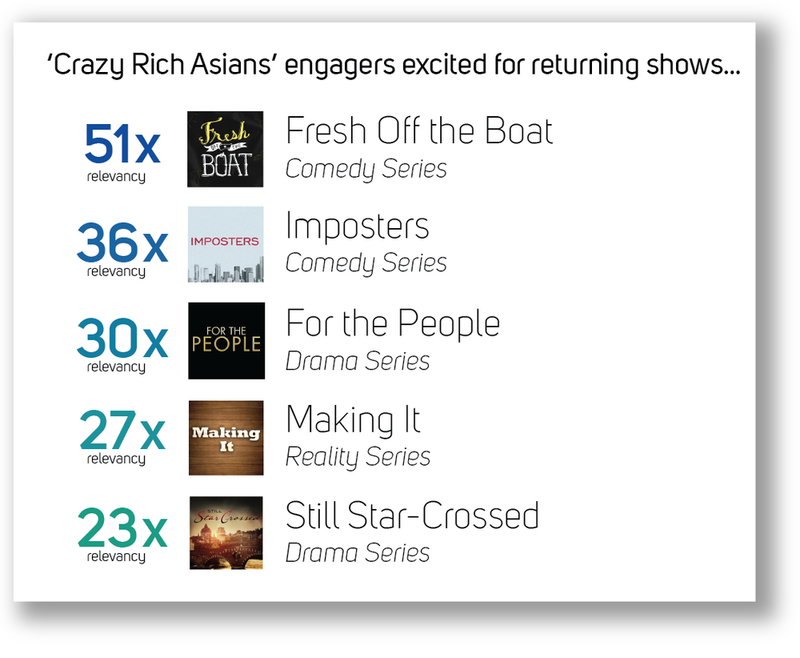 People anticipating the release of “Crazy Rich Asians” had a far bigger preference for online video (174%) than linear (-22%) or streaming content (-46%). Some of the top video channels for this audience included THNKR, ScreenCrush, Teni Panosian, BuzzFeed News, and Superwoman Vlogs. 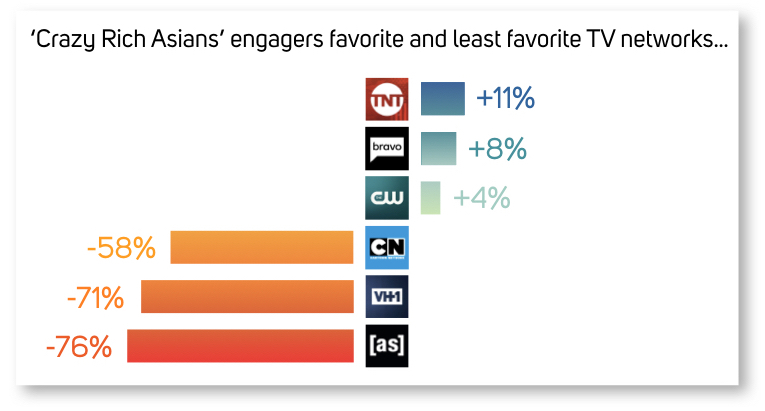 When it came to traditional television networks, TNT (11%), Bravo (8%), and The CW (4%) led, while networks under-indexing included Cartoon Network (-58%), VH1 (-71%), and Adult Swim (-76%). What Are Fans Excited About?